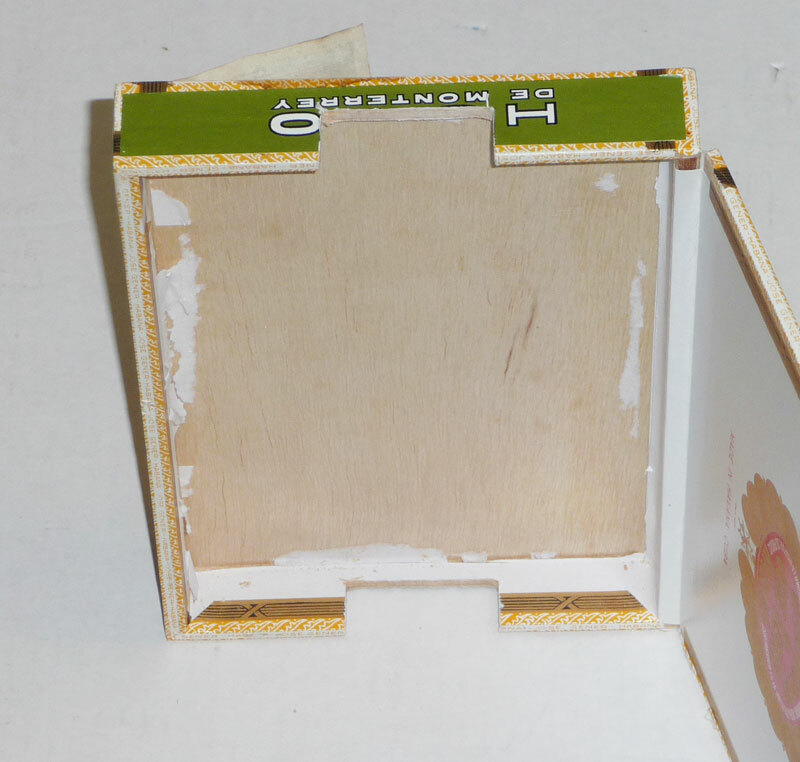 The area of the neck that runs inside the box needs to be cutaway so that the lid slots into a trench in the neck. 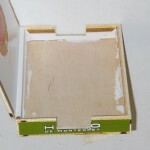 The ends of the box need to be cut away to allow the box to close around the neck. First mark the scale length (25″) position on the neck and lay this on the box so that the 25″ mark is 1/3 the box length from the tail end of the box. Mark the length and depth of the lid onto the neck. This is the area you need to cut away using a saw and chisel, or a router if you have one. Mark the neck position on both ends of the box and saw the ends of the box away so that the box closes around the neck.